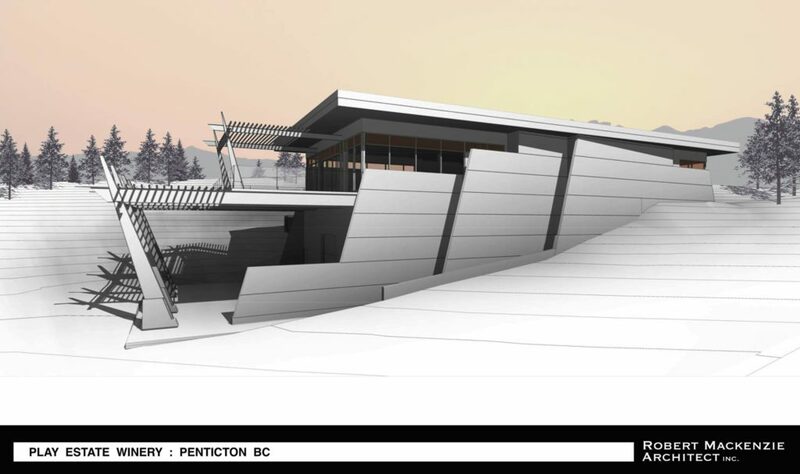 Delta-T Consultants is excited to be the mechanical engineer for the new Castanet building to be located at 451-455 Lawrence Ave in Kelowna, BC. The project will be developed with Worman Homes. Castanet began in 2000 and has grown over the past 16 years to become a mainstay for Okanagan news, classifieds, events, and discussion boards. Over 375,000 people visit the site each week. The building will be a great addition to Kelowna’s downtown core. 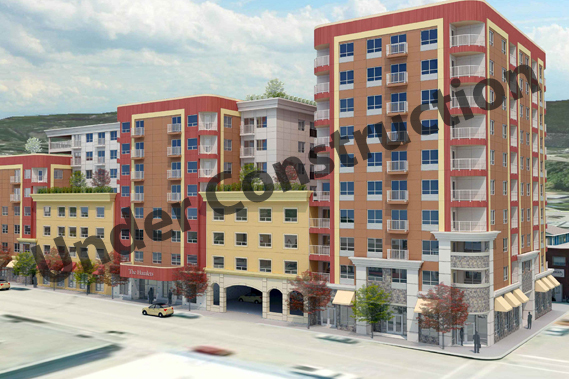 It will consist of two stories used mainly for Castanet Studios, as well as some commercial retail units. In addition, a rooftop penthouse and patio are planned. Delta-T will be providing the heating, air conditioning, and ventilation (HVAC), and plumbing design for the new commercial building. We were privileged to work with Robert Mackenzie Architect as the mechanical engineers on this new Play Winery located at Skaha Hills in Penticton, BC. The winery is open for business and boast some incredible views of Skaha Lake and delicious wine. Delta-T provided the HVAC (heating, ventilation, and air conditioning) and plumbing design for the new $5.2 million development. The Explorer’s Society Hotel will be a fantastic boutique hotel / restaurant / event space in Revelstoke, BC. Delta-T Consultants is honoured to be the mechanical engineers for this large renovation on a heritage building. The building was built in 1911 and will maintain the charm and character throughout the renovation. Delta-T provided the HVAC and plumbing design for this renovation involving a 9-suite hotel, commercial kitchen, events space, and rooftop hot tub. You will have to come and check it out next time you are in Revelstoke. The Vernon Hamlets is a two-phase development with assisted living, residential care, and much more. The site will be operated by H&H Total Care Services. You can click here to read more about the Hamlets at Vernon. Delta-T Consultants provided the mechanical engineering for this 6-storey and 10-storey development. Design included fire protection systems, building heating, ventilation, and air conditioning (HVAC), and the plumbing systems. The building is currently under phase 1 construction. Delta-T Consultants is currently working on the design for a rooftop outdoor swimming pool and hot tub to be located on Kelowna’s new Sopa Square development. The development is a fantastic new feature building in Kelowna’s Pandosy area that will have a mixed commercial and residential occupancy. Design included the circulation systems, filtration systems, and disinfectant systems for both the swimming pool and hot tub. Delta-T works with the Interior Health Authority (IHA) to ensure the pool and deck is compliant to the BC Pool Design Guidelines and safe for all future pool patrons.